A jury composed of seven members has selected the best submissions for the INHORGENTA AWARD—the audience voting has also been completed meanwhile. The nominees in seven categories are now known. The winners will be selected at the Munich Postpalast on February 18, 2018. For hours on end, they sat together, testing and discussing—then, the nominees were known in six categories for the INHORGENTA MUNICH AWARD 2018. The jury decided on the best pieces of jewelry, watches, designers and retailers of the year from among more than 100 submissions from nine different countries. In the process, the jury attached special attention to the design, functionality and brand identity of the submissions. Three nominees per category were placed on the shortlist; however, due to a tie, there are even four nominees in the smartwatches category. In addition, more than 2000 participants decided on the “Best Piece of Jewelry” within the framework of the audience voting. Among this year’s jury members are the actor Barbara Becker, top model Franziska Knuppe, former editor-in-chief of the German magazine “Bunte” Patricia Riekel, watch expert Gisbert L. Brunner, designer Markus Hilzinger, Professor Christine Lüdeke and Anja Heiden from Wempe. 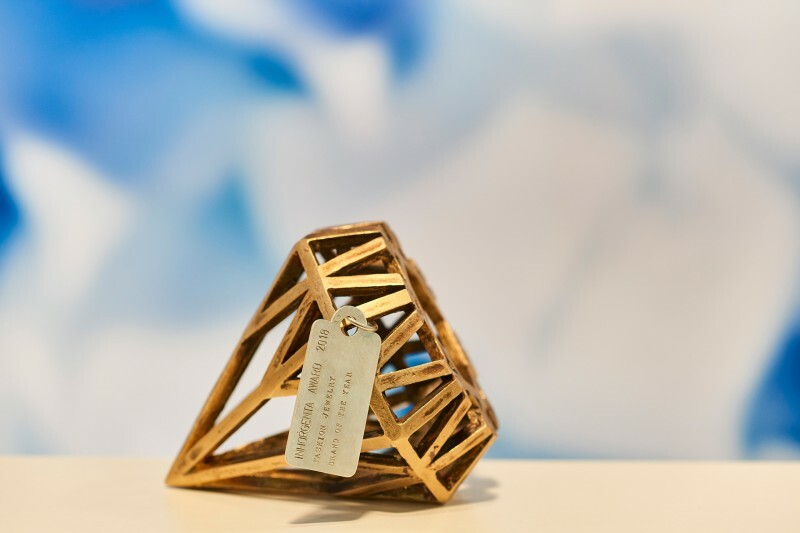 The nominees in the Fine Jewelry category are, among others, the German manufacturers Hans D. Krieger and Niessing as well as the Italian jewelry manufactory Nanis. In the jury’s opinion, Junghans, U-Boat and Watchpeople had the best ideas for excellent Watch Design. Casio, Garmin, Montblanc and the Swiss watch manufacturer Tag Heuer could qualify for the Smart- and Connected Watches category which has been newly introduced in 2018. Jury expert Gisbert L. Brunner commenting on his selection criteria: “They must comfortably fit around the wrist and be user-friendly”, he said, attracting attention to easy, intuitive handling in an interplay with individual design. “If I must consult the instruction manual each time, a watch is of no help”. In the Fashion Jewelry category, it is all about pieces of jewelry priced at up to 1000 euros. Here, Gellner, Pesavento and Les Georgettes have made it onto the shortlist. “The charm of these jewels does not reside in the fact that they might be bequeathed someday”, says Franziska Knuppe, the category’s patroness, “they rather reflect the current spirit of the time: fashion jewelry is more fast-moving and dynamic and sometimes more daring in terms of design.” According to the top model, fashion jewelry can be quickly combined with the trendiest outfits. Some pieces are no longer fashionable already in the following season, while others are being kept for a lifetime. Quite Quiet, Johannes Hundt and Goldschmiede Dreier were selected for the prize for the Designer of the Year. The retailers Juwelier Hunke, Oeding-Erdel and Juwelier Laufer are nominated in the Retailer of the Year category; all three of them distinguished themselves by their intelligent shop concept, their online presence and interior furnishings. Within the scope of the audience voting on the Best Piece of Jewelry, jewelry fans could cast their votes online. They favored the designs of August Gerstner Ringfabrik, Jaime Moreno and Schmuckwerk. “We have received submissions of top-class pieces of jewelry from nine different countries. This shows us that the INHORGENTA MUNICH AWARD has gained an importance that is internationally recognized within the industry”, says Exhibition Director Stefanie Mändlein. Some 500 guests from the economy, culture and the media will celebrate the winners at the glamorous event for the presentation of the INHORGENTA MUNICH AWARD taking place at the Postpalast in Munich on February 18, 2018 at 7 p.m.